Her joy is contagious. 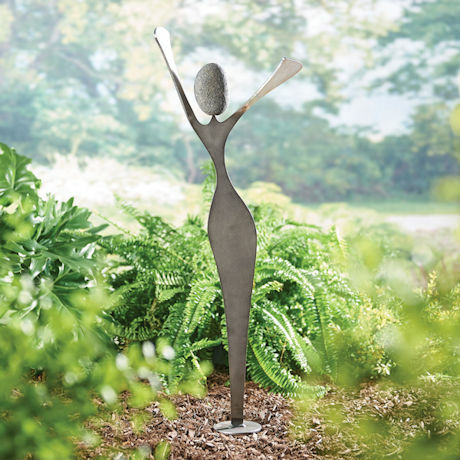 Crafted from iron and Minnesota fleldstone, designed and made by Minnesota artists Charles Adams and Tom Widhalm, Spirit Woman is an exuberant addition to your garden. 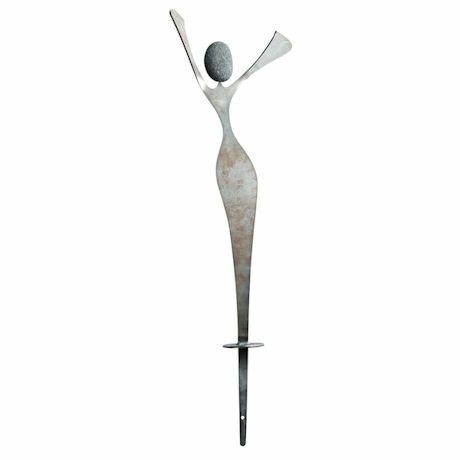 28" high on 8" stake, 16" wide. Fieldstone colors will vary. No rush delivery or gift box. Item can only be shipped within the Continental US. Extra shipping charges for this item: $6.95.